Many of my friends are recently married and getting settled into their homes. One of the best ways to personalize one's space is through hanging art that reflects something about who you are, and what you love. Art that carries personal sentiment can be a great addition to one's home and satisfies the desire to have something beautiful and as well as meaningful on the wall. 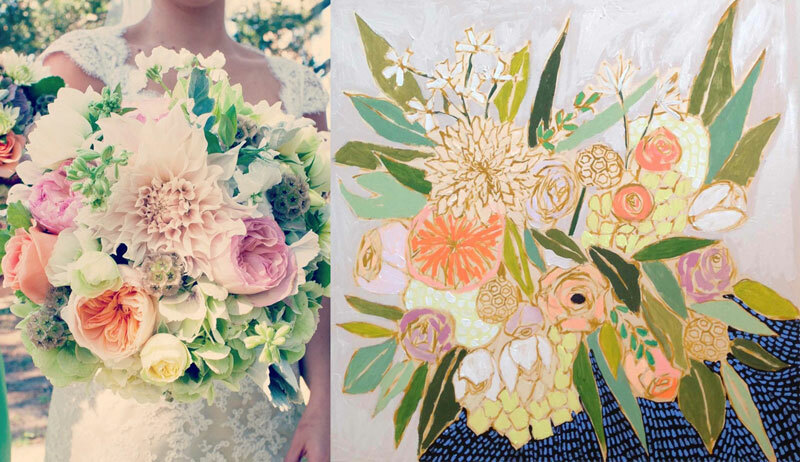 I love the idea of personalized work and artist Lulie Wallace is the perfect answer to this niche with her custom paintings of wedding bouquets.